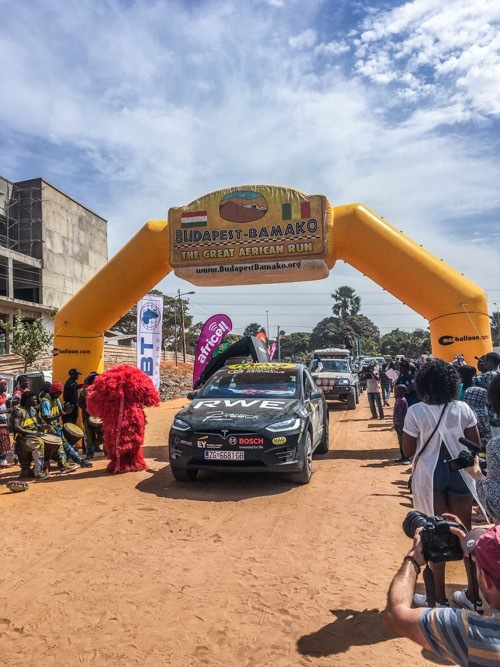 The finish line of the rally was in Serrekunda, right next to the capital city of Banjul. It’s a beach town, so hotels and restaurants have sprung up near the main road on the beach in the last few years that cater for tourists from Western Europe. While tourism has rapidly increased here over the last few decades as the government has recognized its revenue potential, there’s still a lot to catch up on in terms of infrastructure. 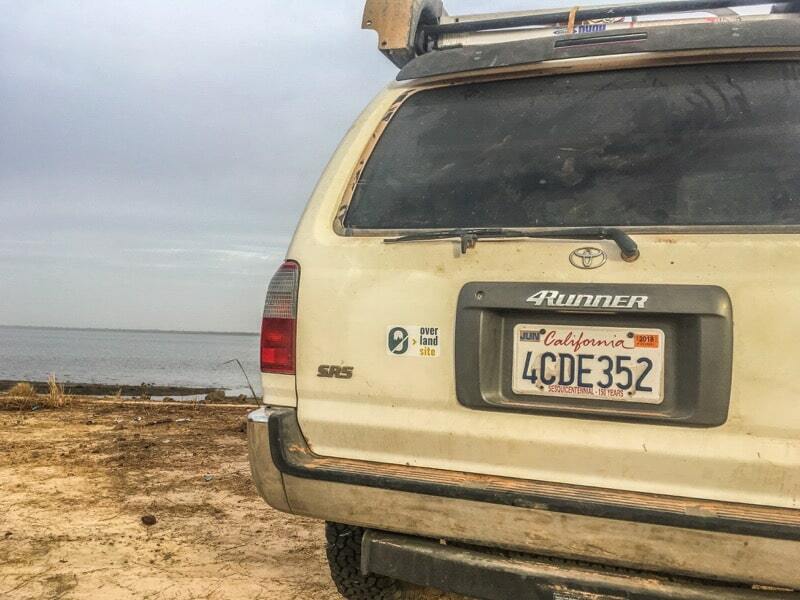 After finishing the Rally, Marc has donated his nice 4Runner to a school in The Gambia. 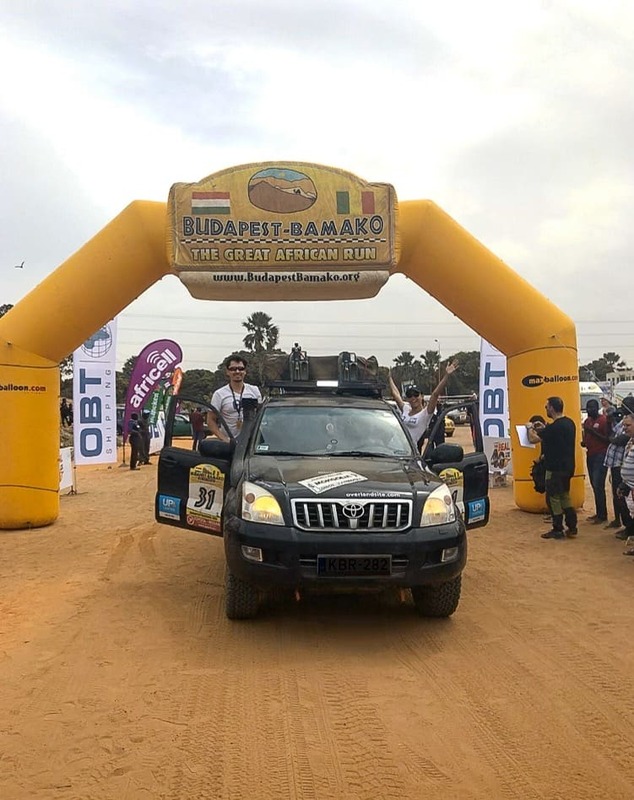 The Budapest-Bamako Rally has been organized since 2005. 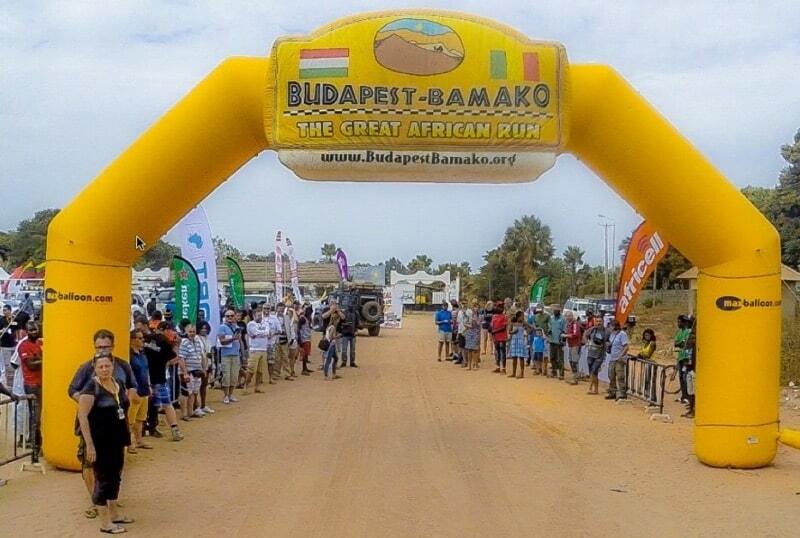 As the name suggests, the finish line is usually in Mali’s capital, Bamako. However, due to terrorism and kidnapping threats, this has been changed several times over the years to different destinations, and is also why the finish line this year was in The Gambia. This was the second time for the country to host the finish ceremony, so they were very well prepared. Billboards advertised the arrival of more than 100 cars and trucks to an empty football field close to the beach in Serrekunda. 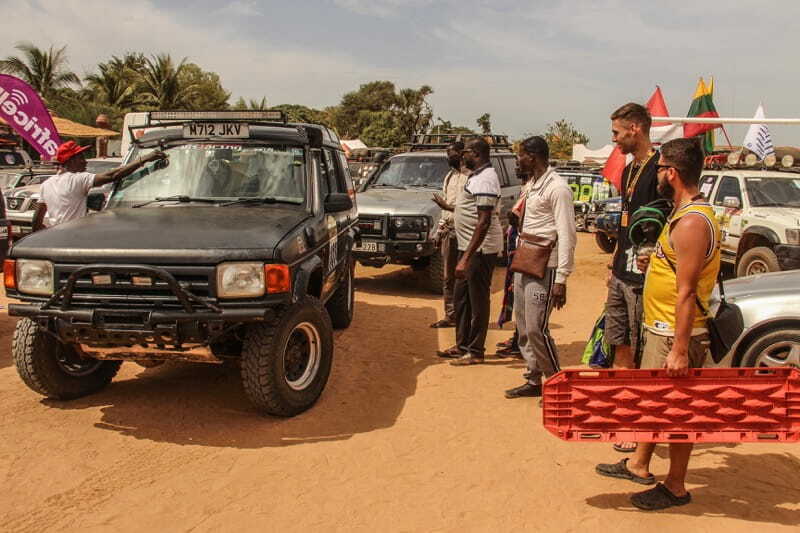 Many car dealers and other individuals showed up for the sole purpose of buying one of the rally cars, as most of the teams planned to sell their rigs before flying back home. The Rally brought hundreds of tourists to the country, contributing significantly to the increasing number of tourists there. 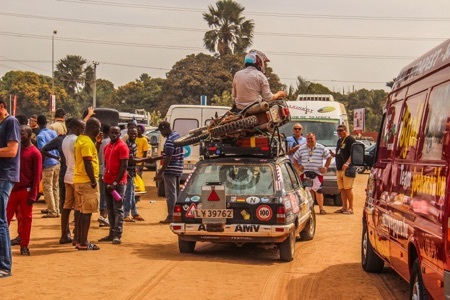 If the destination of the Budapest-Bamako Rally remains The Gambia, it stands to become an even more important part of the tourism sector in the future. 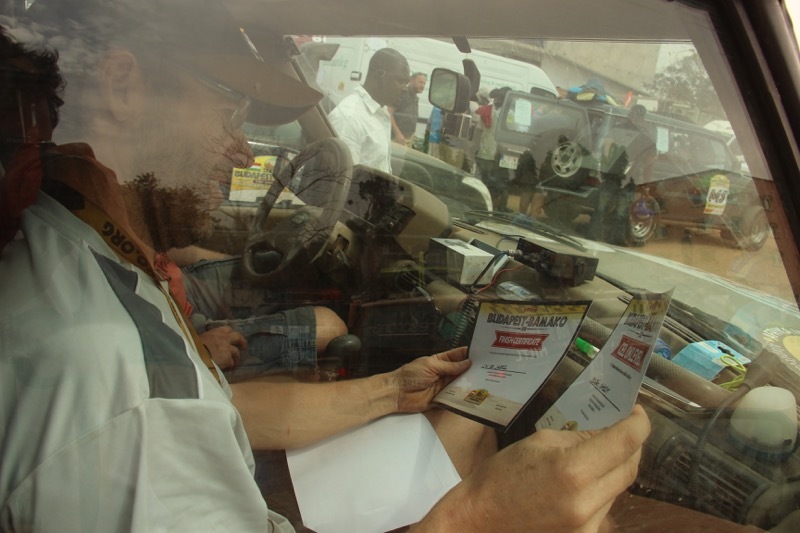 The rally ceremony felt great, and we could now say that we had made it safely all the way to a Sub-Saharan country without too much trouble. These posts cannot describe just how great an experience we’d had over the previous 16 days. Evelin was driving over the start line, so it would have been good if I’d had the chance to drive over the finish line. As it happened though, it was Evelin’s birthday on this day, so I argued she should be the one to drive over the finish line. At some point, I would love to have a birthday with 100 4x4 vehicles and a rally finish ceremony too! Yes, that is a Tesla, that drove through the Sahara from Europe to get to The Gambia. Above, a Ford Fiesta from the 80's carried a broken down motorbike for a couple of hundred miles. Both are fascinating stories that we will report on later.